Oversized Distressed Gym Day text on the front! 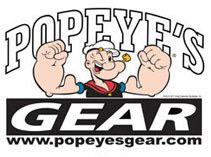 Popeye's Supplements logo patch on seamline. Popeye's GEAR Shirts are created for athlete's, avid gym goers and anybody who wants to feel STRONG TO THE FINISH and look their best! 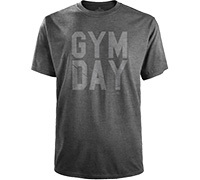 Add these shirts to your everyday wardrobe or must-have gym gear!